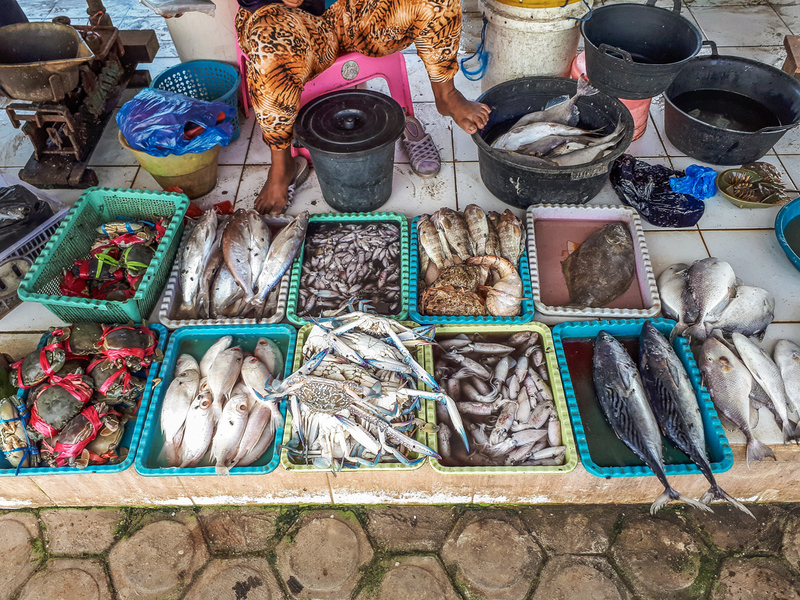 Kopernik conducted a series of prototype testing and field research for Mitsubishi Electric to test the feasibility of their portable fridge in increasing the productivity of fish sellers in Kupang, Indonesia. Mitsubishi Electric and Kopernik jointly identified a challenge faced by fish sellers in Indonesia.Fish sellers use rudimentary buckets attached to the back of their motorbikes to store fish while roaming and selling in the nearby villages, which leads to the quality of the fish to deteriorate quickly in the high temperature environment. The potential solution that Kopernik tested is a portable fridge that can be powered by motorbike battery and is able to retain the freshness of the fish for a longer period of time during the day. Among others, Kopernik designed research methods based on the requirements and objectives from the client, identified fish sellers who would participate in the product testing, conducted a series of prototype testing, collected and analyzed monitoring data on daily revenue in addition to the cost and profit margin of three fish sellers using the product in Kupang, East Nusa Tenggara province. Monitoring data shows a potential for fish sellers to sell fish at higher price points, and prolong business hours to gain additional income.